Brilliantly fast With faster, intelligent, multi-core technology that applies processing power where it's needed most, Intel Core i7 processors deliver an incredible breakthrough in PC performance. 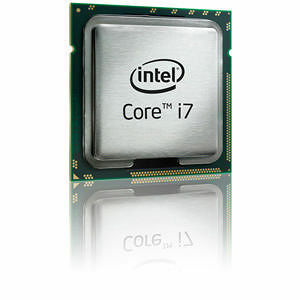 They are the best desktop processor family on the planet. You'll multitask applications faster and unleash incredible digital media creation. And you'll experience maximum performance for everything you do, thanks to the combination of Intel Turbo Boost technology and Intel Hyper-Threading technology (Intel HT technology), which maximizes performance to match your workload.